RTI Activist, Anjali Bharadwaj of the National Campaign for People’s Right to Information (NCPRI), at a discussion organised by the Commonwealth Human Rights Initiative,(CHRI) in New Delhi, on December 17, revealed how the passage of some progressive legislations suffered, for want of Government’s backing, and worse, because of its misleading of Parliament. The Whistle Blowers Protection Act (WBPA), which was passed by Parliament and received the assent of the President on May 9, 2014, has not been operationalised to date. Instead of promulgating rules to operationalise the law, the government moved an amendment bill in Parliament in May 2015 which seeks to severely dilute the Act. On April 28, 2016, Dr. Jitendra Singh, the Minister of State in the Prime Minister's Office, in reply to a question in Parliament, stated that the WBPA Amendment Bill had been sent to a committee. However, in response to an RTI application, the Rajya Sabha Secretariat has stated on August 16, 2016, that the Bill is not pending with any Parliamentary Committee. Providing a legal framework for grievance redress was a commitment made in the sense of House resolution passed unanimously in Parliament in August 2011. 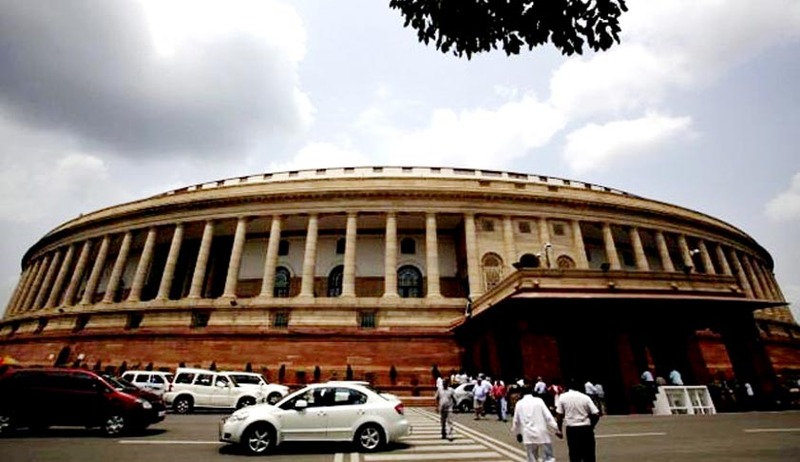 The ‘Right of Citizens for Time Bound Delivery of Goods and Services and Redressal of their Grievances Bill, 2011’, which was introduced in Parliament in 2011, had support of Members of Parliament across party lines. The current government repeatedly stated its commitment to re-introduce and pass the GR bill. In fact, in a communication dated 24.06.2014, the PMO stated that passing the GR bill was “part of immediate thrust areas of the government”. In March 2016, however, in response to a question in Parliament, the government made no reference to the legislation and instead stated that it had prepared a scheme known as Delivery of Services and Grievances Redressal Scheme – 2015. In reply to RTI applications, the concerned ministry denied a copy of the GR scheme stating that the scheme was still under consideration. The Lokpal and Lokayuktas Act (LL Act) was notified in the Gazette in January 2014. The Act has not been operationalized despite the passage of almost three years since the Act was notified in the official gazette. An amendment was required to ensure that in the absence of a recognised leader of opposition, the leader of the single largest party in opposition is included in the selection panel for appointing the Lokpal. Instead of moving the single amendment and quickly operationalizing the Act, the LL Act has been severely diluted through the passage of the Lokpal and Lokayuktas (Amendment) Act, 2016. The 2016 amendment has fundamentally diluted the Lokpal Act as it has done away with the statutory requirement of public servants to publicly disclose the assets of their spouses and dependent children, under section 44. These disclosures were required to be published on government websites. The amended law now allows for the form and manner of disclosure of assets and liabilities of public servants to be prescribed by the Central government through rules. The amendments were brought to Parliament without any public debate and the text of the bill was in fact not even made available in the public domain. According to Anjali Bharadwaj, the amendment, has severely diluted one of the key provisions of the Lokpal Act ostensibly to extend the deadline for public servants to disclose their assets. If an amendment was required for procedural reasons to extend the deadline for disclosure of assets by public servant, then only a limited amendment to sub-section 4 of Section 44 should have been brought in, which stated that the asset disclosures must be made by July 31. The scope of the amendment passed by Parliament in 2016 is much wider as it completely amends section 44 of the Lokpal Act. During the debate in Parliament on the amendment legislation on the 27th & 28th of July, 2016, the MoS, Dr. Jitendra Singh had given an assurance that the Act would be referred to the Standing Committee. DEPUTY CHAIRMAN: Yes; that is the only point. It should come back before the next Session..."
As per information available on the websites of the Rajya Sabha and Lok Sabha, it appears that the Lokpal & Lokayuktas (Amendment) Act, 2016 has not yet been referred to any Parliamentary Standing Committees. The government and Parliament’s intention to not operationalize the Lokpal law stands exposed as the amendment that was essential to operationalise the law - which was to provide that in the absence of a recognised leader of opposition, the leader of the single largest party in opposition is included in the selection panel for appointing the Lokpal - was not included in the amendments passed in 2016. The matter which came up for hearing in the Supreme Court before the bench of the Chief Justice T.S.Thakur, Justice D.Y.Chandrachud, and Justice L.Nageswara Rao on December 7, was adjourned to December 14, when the Attorney General Mukul Rohatgi sought time to submit additional documents including the report of the Parliamentary Standing Committee, proposing certain amendments to the Act. On December 14, however, the matter was not even listed. During one of the hearings, Justice Thakur even queried why the bench could not read down the law, to interpret the requirement of the leader of the opposition as the leader of the single largest party in opposition, so that the only remaining hurdle to select the members of the Lokpal is removed. The Lokpal amendment law of 2016 has diluted the original scheme of disclosure intended under section 44 of the Lokpal Act. The Lokpal has been established to receive and inquire into complaints related to offences punishable under the Prevention of Corruption Act, 1988 (PCA). As one of the grounds of criminal misconduct under the PCA relates to a public servant or any person on his/her behalf, being in possession of pecuniary resources or property disproportionate to his known sources of income, it is critical that disclosure of assets and liabilities of public servants be of a high standard. As illegally amassed assets could be handed over to family members, it is important that the declaration of assets include the details of assets of the spouse and dependent children of the public servant. Further, wide publicity, as envisioned in sub-section 6 of section 44 of the original Lokpal Act, was required to enable members of the public to make informed complaints to the Lokpal. In India, several categories of public officials, like MP, MLAs and Judges, are already subject to stringent norms requiring disclosure of assets owned by them, their spouse and dependent children and such declarations are publicly available and therefore, there was no reason to extend special exemptions to any class or category of public officials. Therefore, the amendments passed by Parliament to dilute the provisions of asset disclosure under the Lokpal Act, are against the objective and scheme of the Lokpal which is to provide transparent governance and combat corruption, she explained.